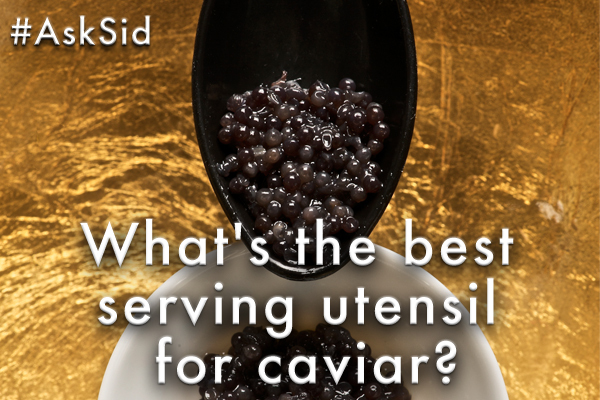 Ask Sid: What’s the best serving utensil for caviar? 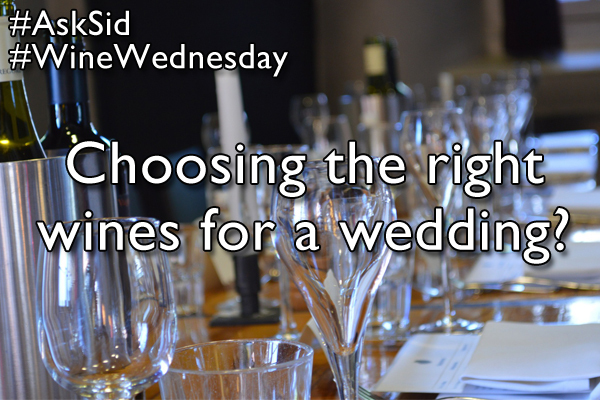 Question: Nice blog update on caviar Sid but what is your advice on the best utensil to use for serving and eating? Answer: Good point. Lots of special fancy spoons and forks out there to choose from made of tortoise, mother-of-pearl, horn, porcelain, ceramic, bone, glass, wood – everything except silver or other metals. Issues of tarnish, oxidation, and the interference with the purity of caviar persist if you use an active metallic substance. Even little plastic spoons could be a cheap useful item to consider. Gerry Stein’s preference in his book Caviar! Caviar! Caviar! is a lot of fun: “a wooden tongue depressor, of the type used by physicians when they tell you to open wide and say Ahhhhhh!”. 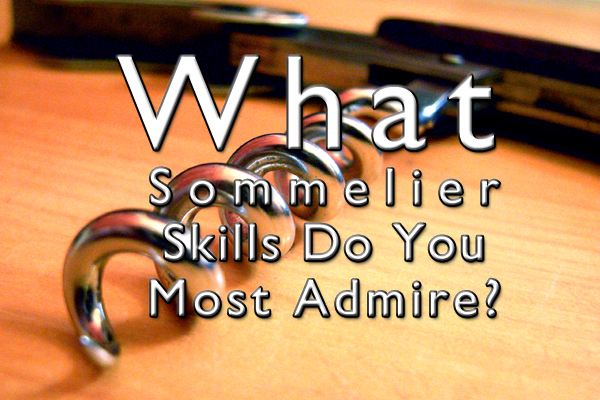 What's the best utensil for eating caviar?